Lots of people have made outlandish bets with their friends, and Sam Querrey is no exception. Entering the 2016 season, the San Francisco native made a wager with his high school friend, Jared Grosslight. 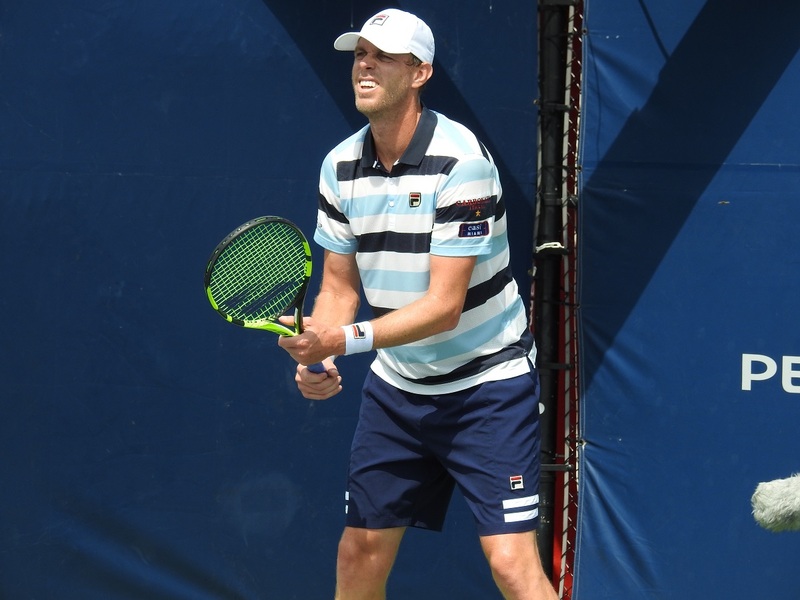 “I bet Ham (Grosslight) if I didn’t make the quarters of a slam, I’d get him any bottle of scotch he wanted,” said Querrey after his first round match at the 2018 Rogers Cup in Toronto. Grosslight seemed to be in the clear after Querrey lost in the first round at both the 2016 Australian and French Open. In the third round of Wimbledon, he faced Novak Djokovic, the two-time defending champion. Djokovic had made it to at least the quarterfinals of his last 28 Grand Slam events. 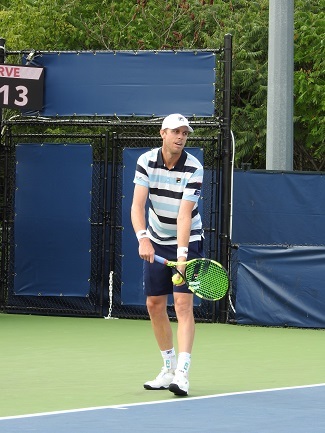 Querrey had never made the quarterfinals of a Grand Slam singles event in his life. Grosslight’s navel seemed to be safe. Instead, the 6 foot 6 inch gentle giant shocked the tennis world with a thrilling four set win over Djokovic. Querrey followed this up with a Round-of-16 victory over Nicolas Mahut to reach his first career grand slam quarterfinal. Grosslight’s belly button would never be the same. A year later, the Las Vegas resident would again knock off the reigning Wimbledon champion. This time, he beat Andy Murray in the quarterfinals, leading to his first Grand Slam semifinals appearance. Beating Djokovic and Murray in successive years helped Querrey understand exactly how much he was capable of. “Before those wins, I had some big wins over top 10 guys,” said Querrey. “But to have it be at Wimbledon in the quarterfinals (against Murray) or in the round of 32 (against Djokovic), it really did give me belief that I can do that anywhere now against any guy if I play. One can’t help but notice how Querrey’s Grand Slam success over the last few years has coincided with greater stability in his personal life. In 2015, he began dating fashion model Abigail Dixon. “It’s always nice to have someone that’s not your coach by your side for big wins or big losses,” said Querrey. Querrey married Dixon this past June in Fort Pierce, Florida, with two of his close friends, John Isner and Steve Johnson, in attendance. Despite the trio sharing a close friendship, Querrey understands the downside in having three of America’s top players get along so well. “I do feel like in sports, when there’s some genuine hate betweens teams and players, it’s intriguing,” said Querrey. Still, the ten-time tour winner feels lucky to have such a deep bond with his compatriots. Hopefully Isner and Johnson know better than to make any bets with Querrey.